For those traveling from a country that has winter, consider going to a thrift store such as Salvation Army or Goodwill and purchasing some children’s winter clothing. One idea that we like is bring them in a suitcase dedicated to the children’s clothing and that way you have an empty suitcase to pack all the wonderful Thai souvenirs to take home for your family and friends. 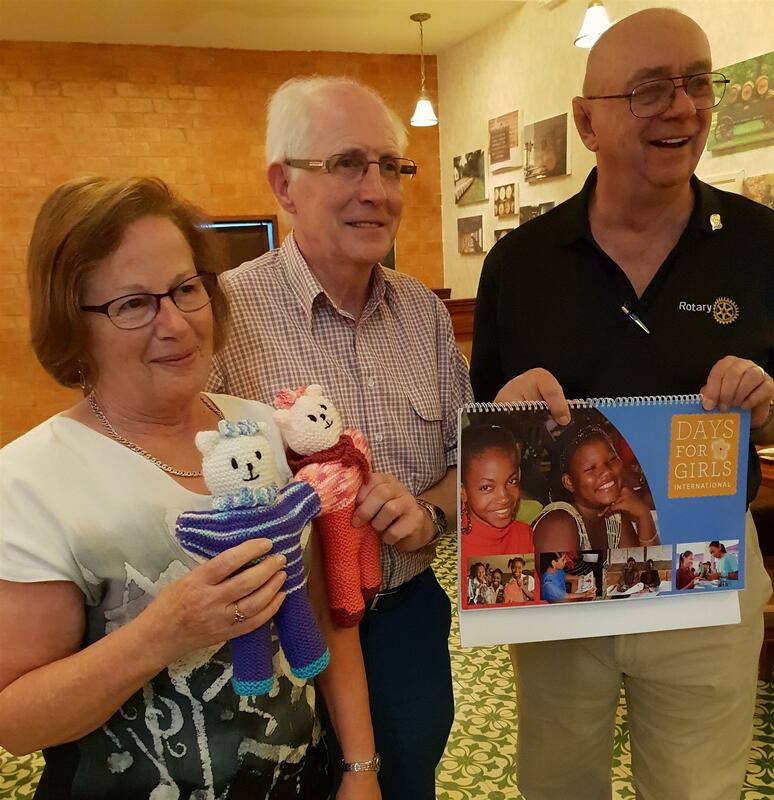 For those traveling from Australia to Thailand, please contact us and see if it’s possible for you to bring some hand-made Teddy Trekkers (right, shown with Nel, her husband --the Australians who bring them into Thailand -- and PP Jerry) to Thailand for delivery to the children we serve. If you stay in hotels, please collect the unused comfort items provided by the hotel -- tooth paste, tooth brush, soap, shampoo and so forth. We will use them for patients at our BCMF B.K.Kee Patient Safe House project. Forward this bulletin to your kind, decent and generous friends -- like you! Send us an email with any comments you may have about our club and/or this bulletin. When we are in contact, amazing things can and do happen!